There’s a lot of talk about the ‘pitfalls‘ of renting your home out on airbnb or bookabach. Local councils are cracking down on short term rental property owners, with the result being that your profitability suffers. Like any business, increases in costs can be managed and in many cases have to be passed on. There are also anecdotal claims that the risks associated with rental your home to guests short term are uninsurable. Some risks, and expenses, can be managed by choosing the right insurer and the right insurance policy. What’s the problem with insurance? Most insurers will tell you that your domestic house and contents policy isn’t suitable for home sharing situations. Or that inviting strangers into your home for money could invalidate your insurance. Others might tell you that you are insured, but come claim time, you’ll discover there was no cover. For example your standard home contents policy, won’t cover you for items stolen by individuals allowed in the home. And your standard home policy, won’t cover you for intentional damage caused by guests. That means that you’re not covered if anyone who has a key (or their guest) steals, or damages your stuff – including your home. A landlord insurance policy will usually provide cover for the above, but generally these come with a bunch of landlord obligations. Landlord obligations include things like reference checks, credit checks and written inspections between tenancies. Without upholding your obligations; which are generally impossible for holiday rentals, the insurer could deny your claim. To circumnavigate these issues, most short term holiday accommodation providers recommend a commercial insurance policy. But these can cost thousands of dollars, and are not always necessary. What you probably don’t realise is that there is an insurance policy designed specifically for holiday homes that are rented out. The initio insurance policy for landlord and holiday home owners. In addition to providing cover for your holiday home and its contents, the policy extends to cover intentional damage and theft by paying guests. Unlike other insurers, when the home is occupied by guests as a holiday home, the landlord obligations do not apply. Loss of rents is also covered, with the policy allowing for the lost income to be calculated using a combination of factors. These include confirmed future bookings, and rent received in the 12 months preceding the loss or contamination damage. As for meth contamination, it is covered in connection with the manufacture or distribution of methamphetamine at the home. In the past, there has been confusion on whether your holiday rental will be covered for Earthquakes and Natural Disaster. To clarify, provided that it is your intention to live in, or holiday, at the home, then you will be covered under the EQC Act (of which you pay an EQC levy as part of your insurance). If the home is purely a commercial enterprise that is not used personally by you or your family, you will need a commercial insurance policy (which will cost a lot more). Health and safety legislation applies to short-term rental properties in the same way that it applies to other landlords. You have a duty to make sure your property is safe and healthy. This includes installing smoke alarms and providing protective gear for any equipment that might be used by guests, such as lifejackets for kayaks. It also means that you, as a landlord, could be deemed liable for an injury or accident suffered by a guest suffers at the property. Some home sharing services will provide property owners with a limited amount of liability cover. However if you are renting your property you should make sure you have adequate public liability insurance in place. The initio policy provides $2 million of cover including bodily injury and defence costs. What about the provided insurance / guarantee? The Airbnb Host Guarantee is not an insurance policy. If you do a quick search in google, you will soon see that claiming is not very easy or straightforward. Bookabach Owner Protection provides an actual backup insurance policy, which is locally supported. The policy covers owner’s liability and property damage protection and is underwritten by NZI (IAG New Zealand Ltd). However, for cover to apply, the guest booking must be booked and paid online through Bookabach. A current house insurance policy also needs to be in place for the Bookabach backup policy to apply. It’s always best to have a proper holiday home insurance policy in place in the first instance. 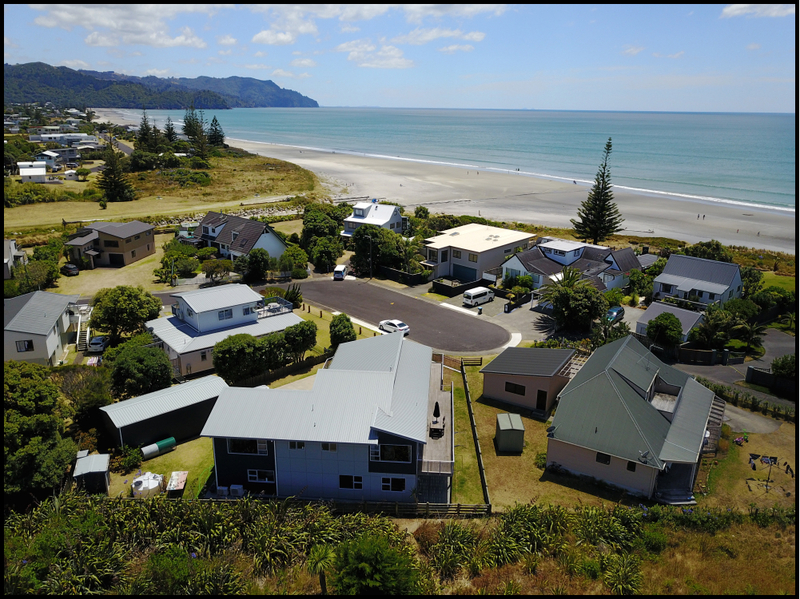 To find out more about the initio insurance policy for landlords and holiday home owners, including an instant quote, visit initio.co.nz.